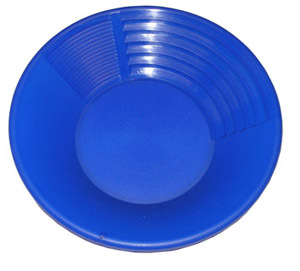 The Pioneer Blue Gold Pan is an ideal gold pans for beginners or pros. Includes deep riffles for quick panning and small riffles for fine panning. Choose size from drop down menu below.